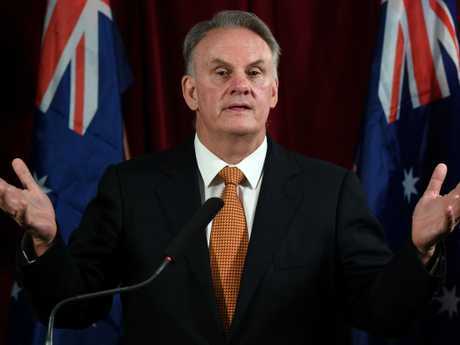 A STUDENT from the University of NSW who was wrongly jailed on terrorism charges is suing Fraser Anning and One Nation's Mark Latham over a series of tweets they made the day of his arrest. 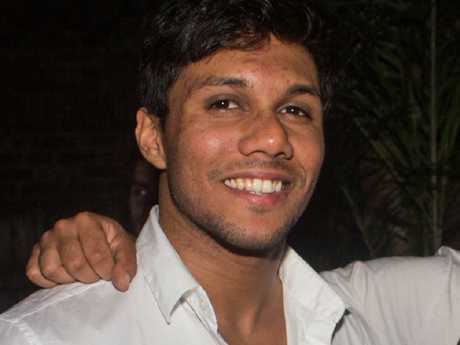 Mohamed Nizamdeen, a 26-year-old Sri Lankan national studying in Sydney, was arrested on August 31 last year after being wrongly accused of plotting a terrorist attack. 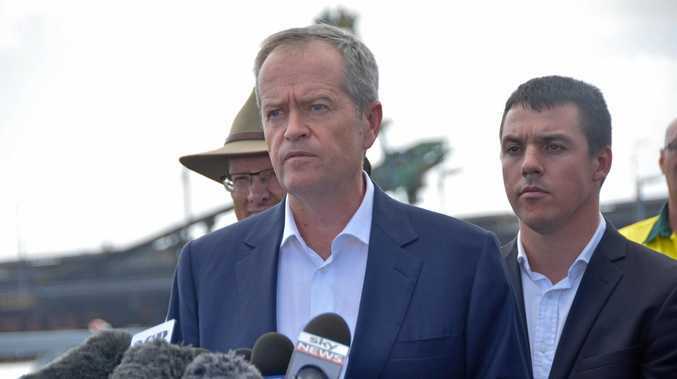 Mr Nizamdeen spent four weeks behind bars after a doctored notebook detailing plans to kill former prime minister Malcolm Turnbull and his former deputy Julie Bishop was found on his desk at the university. Mohamed Nizamdeen was wrongly accused of terror offences. The charge was sensationally dropped after his colleague Arsalan Khawaja was accused of forging the plans in a plot to frame Mr Nizamdeen. Now the student is suing Mr Anning and Mr Latham over tweets they made the day of his arrest and didn't delete, Hack reported. 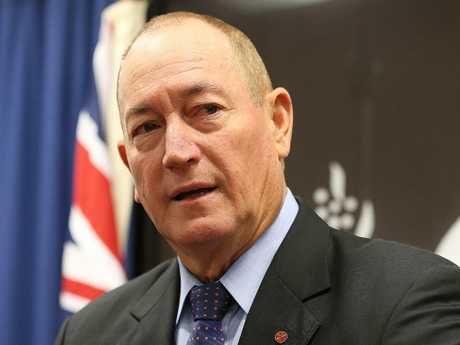 In his tweet Mr Anning shared an article about the arrest and wrongly accused Mr Nizamdeen of having links to Islamic State. "Another foreigner from Asia with links to ISIS attempting terrorist attacks in Australia. Just a few months ago it was Bangladeshi terrorist Momena Shoma," the tweet read. "Is it time we change our immigration system to preference people from compatible cultures?" Despite Mr Nizamdeen later being cleared of all wrongdoing, the Queensland senator didn't delete the post or redact the statement. At the time of writing, this tweet is still on his Twitter page. 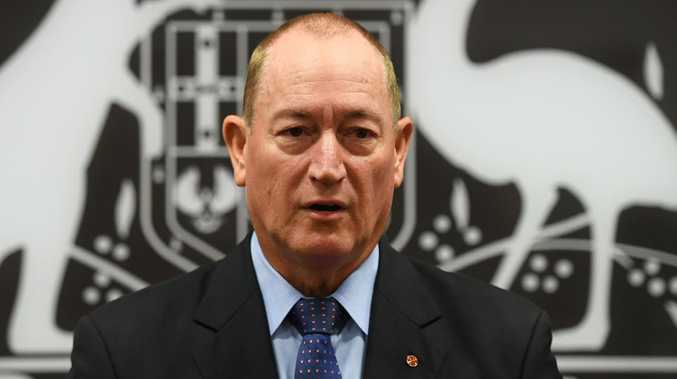 Though Mr Anning didn't name Mr Nizamdeen, the student's lawyer reportedly said it was clear who he was referring to in the tweet. Mr Nizamdeen's legal team sent a letter to Mr Anning, requesting he remove the offending tweet. "The imputations carried by the matter complained of are highly defamatory of our client - it is hard to imagine more serious allegations" the letter said. Mr Latham's tweets have also been blamed for helping to bring "hatred, ridicule and contempt" upon Mr Nizamdeen. Mr Latham's first tweet read: "How reassuring that UNSW 2017 'Hero of the Week' Mohamed Kamer Nilan Nizamdeen was plotting to kill senior Federal MPs and blow up Sydney Opera House and police/train stations. Our universities have because dangerous places, in many respects. Could a Safe Space have prevented this?" In a second post the One Nation candidate shared a tweet by UNSW giving tips to future students. He added people should also "try avoiding" Mr Nizamdeen and "any of his mates". The defamation case has been filed in the Federal Court, with court documents saying Mr Nizamdeen's suffering was amplified by the tweets not being deleted immediately after the charges were dropped, according to Hack. Like Mr Anning's tweet, Mr Latham's posts are still published on his Twitter page. Community Find out why the game of two-up is so important for veterans.